CoEd- NEW SESSION STARTING IN NOVEMBER. New to lifting? Want to learn how to perform a proper squat/bench press/deadlift? - This class teaches you the 3 basic movements in a safe manner - Eventually progressing to performing the movements weighted, there is minimal accessory work in this class. This is a 3 month block class on how to learn the three main lifts in powerlifting. The class progresses as you do. It is a small class that caps at 5 people to allow specific training specialized to you! The instructor is a Brickhouse strength coach knowledgable in powerlifting. It starts from the very basics of the 3 lifts and is perfect for novice lifters. If you are interested in the class please click below! For intermediate lifters who are considering learning more specific powerlifting techniques! Have you never competed in a powerlifting meet before ad would like to compete? This class adds specific powerlifting techniques to the squat/bench press/deadlift. Our knowledgable trainer prepares lifters to advance their movements, increase weight, and integrates accessory work to complement the basic 3 lifts. 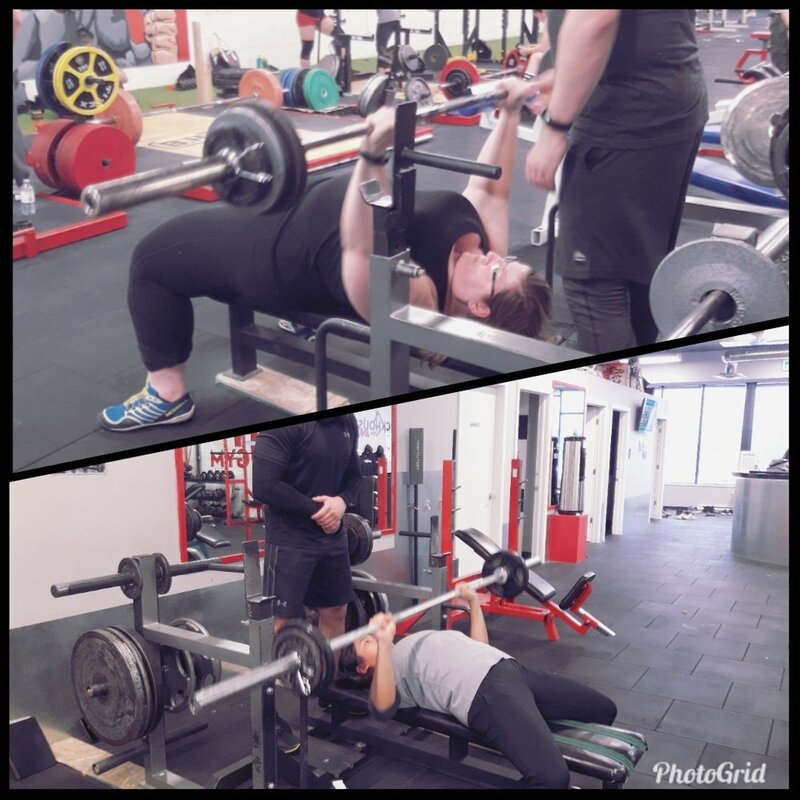 This class follows a modelled powerlifting program to prepare for a mock meet at the end of the 12 weeks. Mock meet is Saturday January 26th 2019. Advanced lifters with knowledge of powerlifting techniques/ For those who would like to compete in an MPA sanctioned event at the end of this class. This is a 12-week powerlifting program to prepare for the Brickhouse Power Challenge On February 2, 2019. This is also for those who have completed the Barbell 201 program! First day of classes November 5th until January 23rd.